A melt-in-your mouth experience! 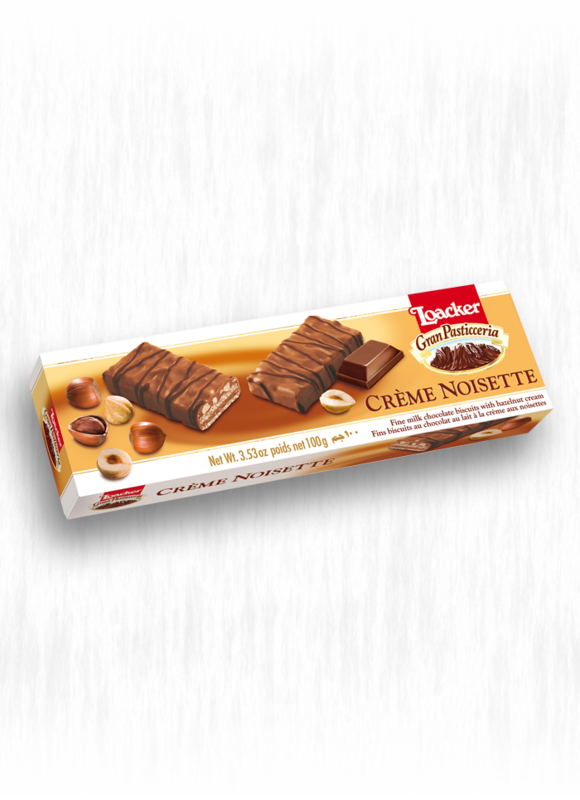 This bite-size specialty is made with 53% praline cream and contains over 30% hazelnuts! 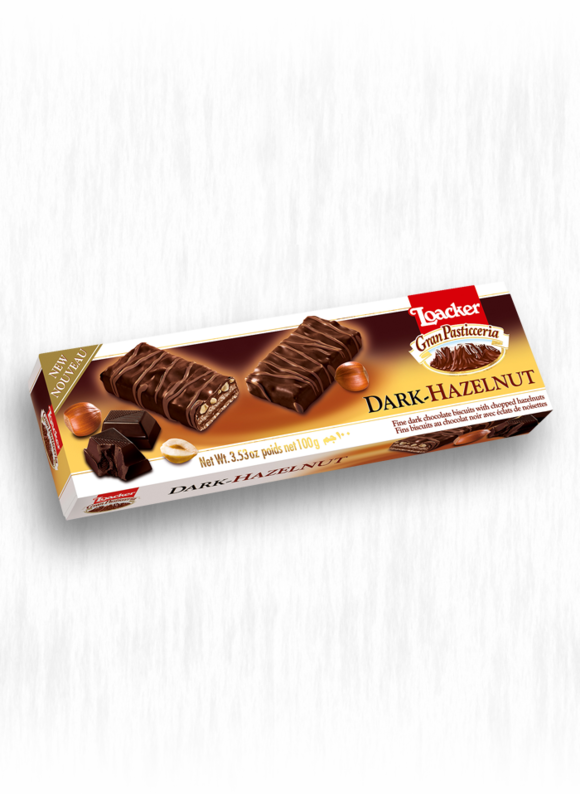 The hazelnuts are carefully selected and then roasted at Loacker. 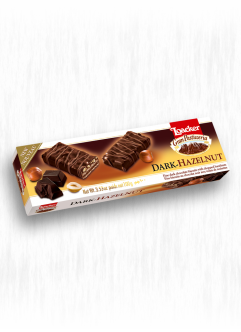 Quite a hit with chocolate lovers! 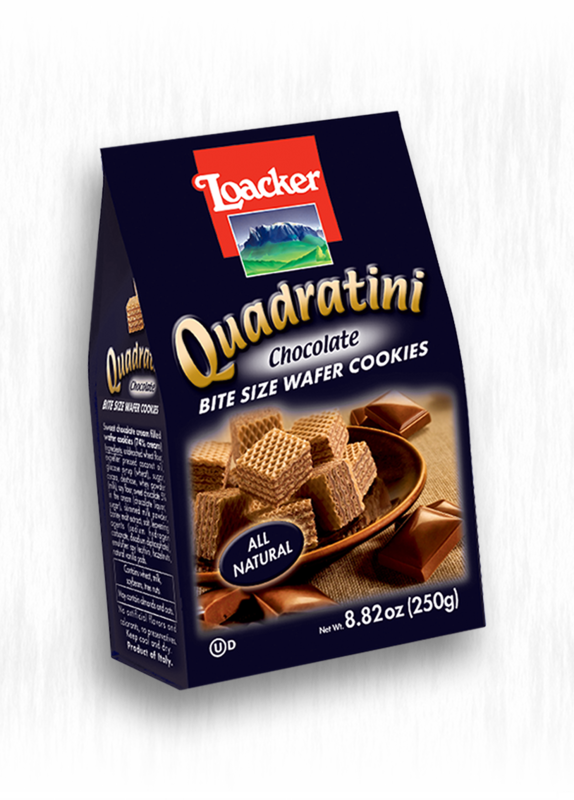 Bite through the crispy wafer squares into a rich, smooth chocolaty filling and enjoy! These bite-size cubes allow you to have as many or as few as you wish! The praline cream filling contains over 30% hazelnuts, carefully selected and roasted at Loacker. This bite-size specialty is made with 41% pure dark chocolate and 53% praline cream – a hit with chocolate connoisseurs! Try Loacker's delicious vanilla wafer squares, filled with a cream that is made from real, Bourbon Island vanilla pods! 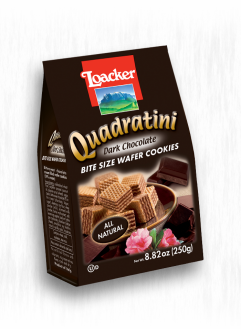 These bite-size cubes allow you to have as many or as few as you wish! 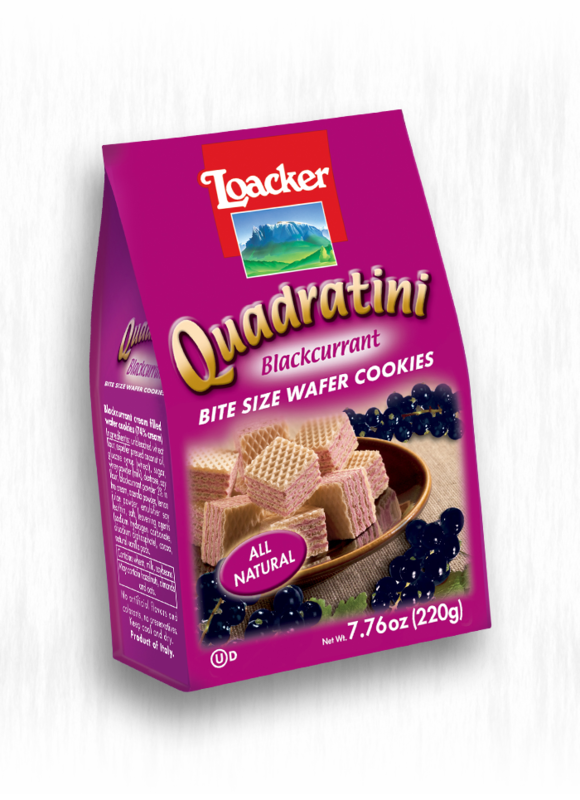 Experience the newest addition to Loacker's family, Quadratini Fresh n' Fruity Blackcurrant! Bursting with fresh fruit flavor and packed with vitamin C, this extra rich and creamy speciality is sure to win your heart! Bursting with lemon flavor, you'll love Loacker's delicious lemon squares! These bite-size cubes allow you to have as many or as few as you wish! 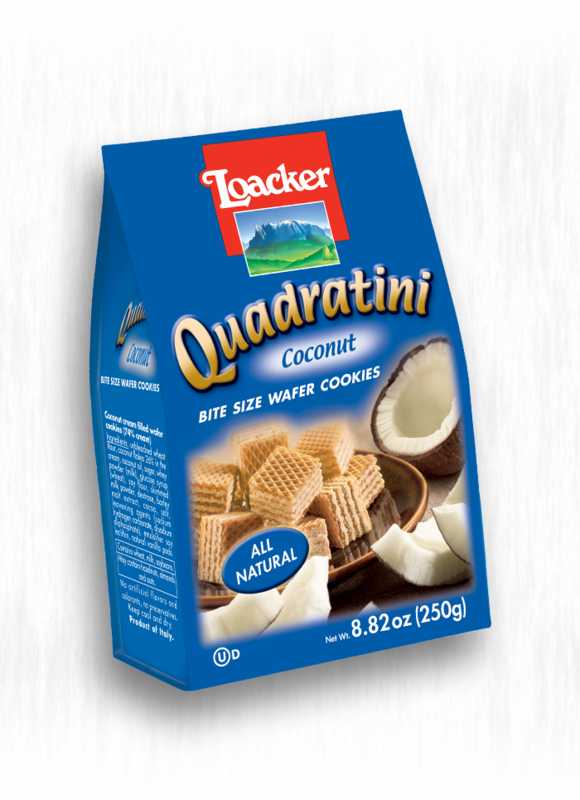 You've never tasted a coconut cookie like this before!! 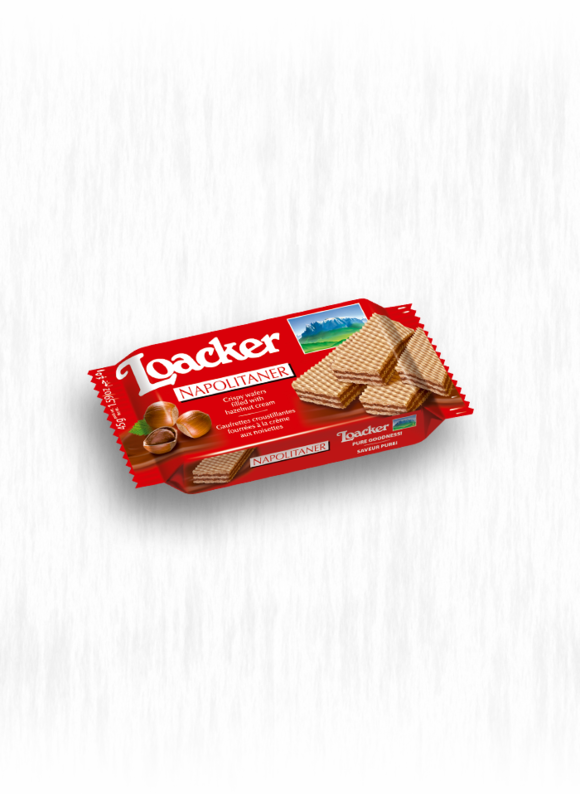 Bite through the crispy wafer squares into the rich, smooth filling and enjoy! These bite-size cubes allow you to have as many or as few as you wish! 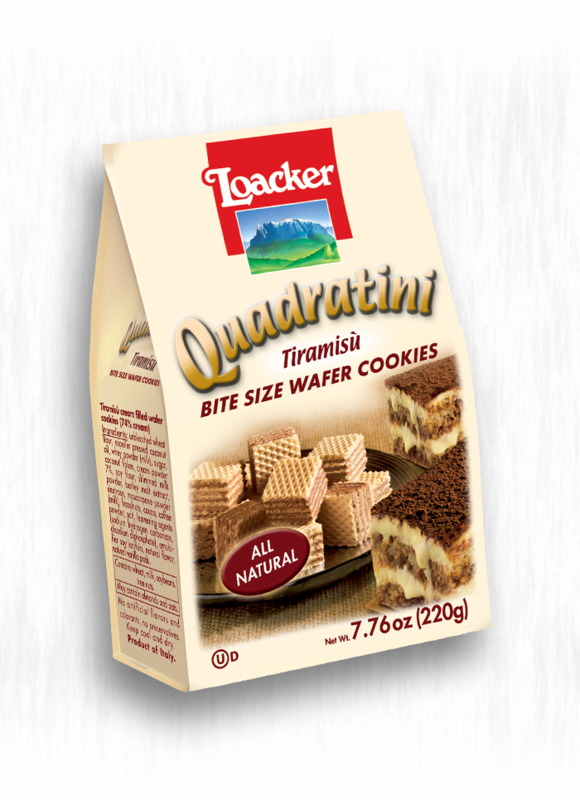 In Italy, Tiramisu is commonly referred to as the "king of Italian desserts"! The correct translation is "Pick Me Up", and believe us, once you have a taste, this will be the case! These bite-size cubes allow you to have as many or as few as you wish! 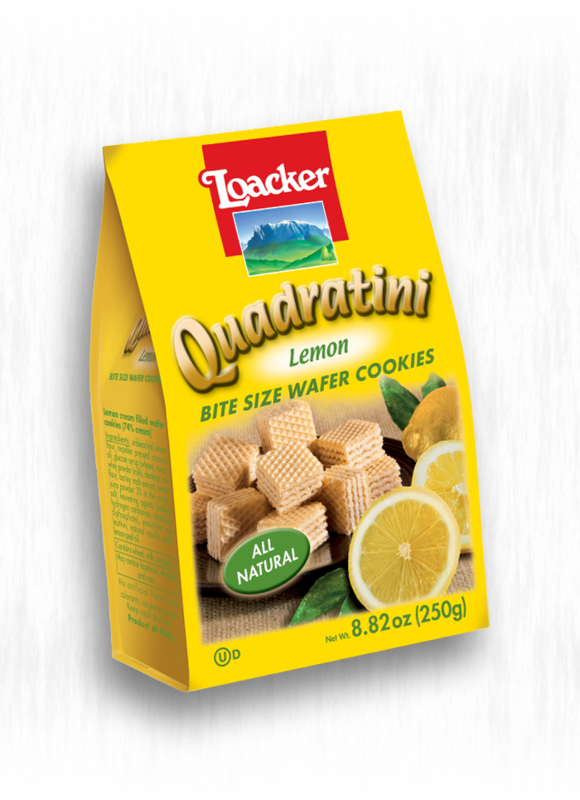 Experience the BUON GUSTO of an Italian connoisseur! 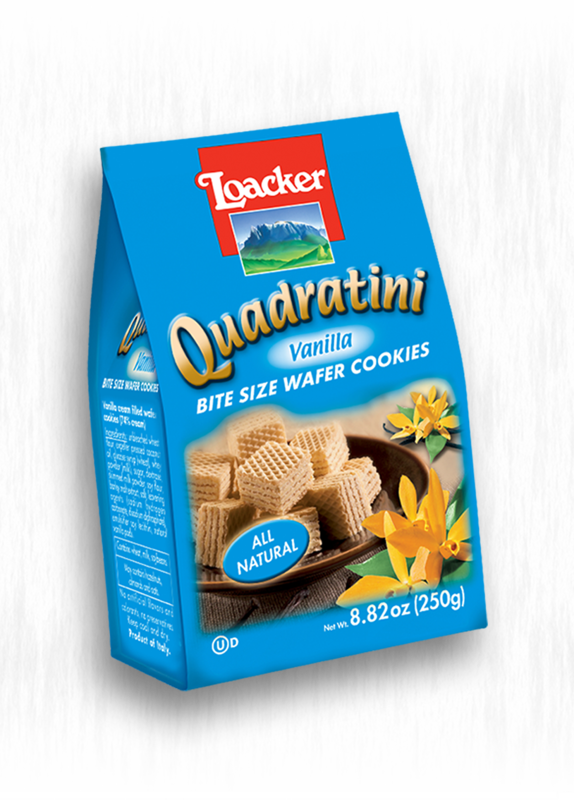 This extra rich and creamy cube-shaped Italian speciality is sure to win your heart! 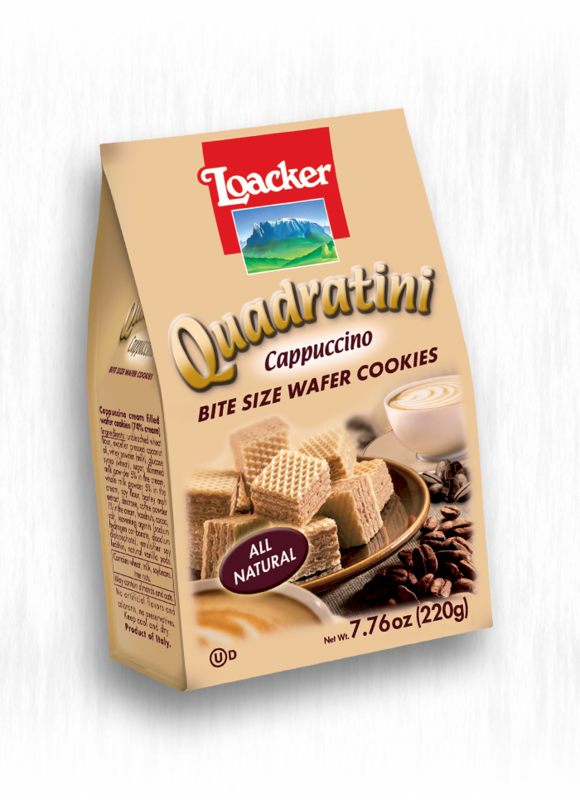 Bite through the crispy wafer squares and savor the the rich, creamy flavor of caffè con latte!